Did you know that other options exist for sending and reading emails in your webmail account? You may not be aware of the configurations available that allow you to view or send your web-based emails from your desktop or mobile email client. In this article, we'll be comparing IMAP vs POP, the two primary mechanisms that enable email access outside of your provider's webmail interface, and help you understand the differences between the two. The Post Office Protocol (POP) was designed to be a lightweight mechanism for retrieving email information — primarily to address the bandwidth limitations of the early internet. Typically, with POP, email is downloaded from the server to the desktop or laptop for local reading, and the copy of that email is deleted from the server. This ensures that there is only one version of the email on the user's computer, and that it's accessible with or without an Internet connection. Therefore, configuring your webmail account so it can be accessed via a desktop client, such as Thunderbird or Outlook, will give you the ability to compose or view emails without an Internet connection. Currently Version 3 (hence, POP3) is available, but Version 4 of this popular mail protocol is said to be in the works. When comparing POP3 vs IMAP, the primary drawback of the former is that in the event of a computer crash or failure, all your emails will be lost. Since no copy exists on the server, no recourse exists if data loss occurs on your local machine. The POP3 settings in your email client do allow for saving a local copy of the email on the server, but the option is usually turned off by default. Learn more about email and website technology solutions in with these guides. 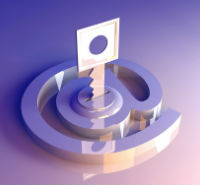 In contrast to POP3, the Internet Message Access Protocol (IMAP) keeps all emails on the server and does not delete them after they have been read. This is preferable for individuals who check their email several times a day with multiple devices (laptops, smartphones, tablets, etc. ), and wish to have their email synced with those devices. Furthermore, IMAP email is saved and backed up on the server side, so even if your computer fails or loses data, your emails will be preserved and can easily be re-synced. IMAP is not without its own limitations. Because IMAP email is stored on the server as opposed to your local computer or device, the service provider may set limits to the amount of mail you can have on one account. Of course, this can be viewed as an advantage for users with limited local space on their computer or mobile device. Also, as mentioned before, most email functions will be unavailable without an internet connection since there aren't any emails stored locally for the client software to retrieve. In short, when it comes to IMAP vs POP3, both have their unique advantages and drawbacks. For users that wish to have a copy of each and every email on their local computer, POP3 is the way to go. However, for those who wish to have a consistent email experience across many devices and computers, IMAP is the more suitable option. IMAP is also a more attractive option for users that want emails backed up on the server side. In either case, choosing IMAP4 vs POP3 is a trivial affair — usually just a matter of selecting one over the other in your email client's configuration settings. For a list of the top web hosting companies and their range of options — including POP3 and IMAP — check out our roundup of the best web hosting companies.